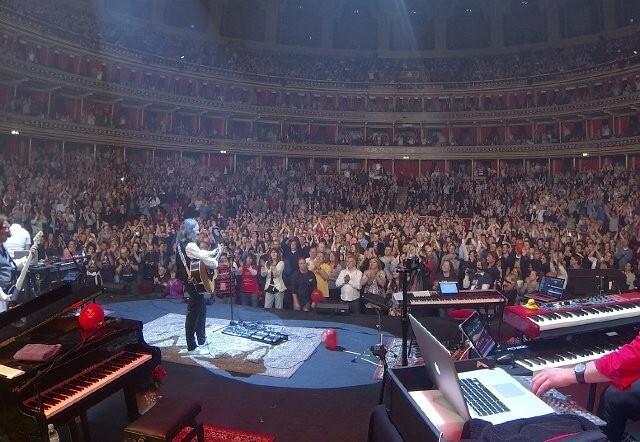 Roger Hodgson, co-founder of Supertramp, is touring worldwide for audiences keen to hear his unique blend of solo material and the classics that he recorded with his former band, Supertramp. Front of house engineer Howard Heckers needs a console that will allow him to oversee monitors as well, and the DiGiCo SD8 has proved to be a great choice. "I had been using an SD9 for several years, but when we adopted a Pivitec personal monitor mixing system, we needed more outputs to accommodate it," says Howard, one of the Netherlands leading live sound engineers. "I wanted to continue using DiGiCo and the SD8 was the ideal choice. Moving over to it from the SD9 was very easy, but it has all the additional facilities we need." 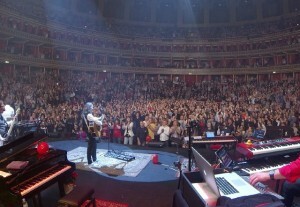 A feature of Hodgson’s tours is that audience sizes vary hugely. "We play our own shows, private events, festivals - the entire range. Audiences range literally from 100 up to 100,000," says Howard. "Another reason for switching to the SD8 was that I can use Optocore, which gives me more flexibility. I can carry a 150m Optocore cable which makes things a lot easier on the big shows." With wide overseas availability, when Hodgson plays outside Europe Howard rents an SD8 or SD10 locally. "With touring all over the world, it’s great to send my show file on ahead and have a seamless transition to a rented console," he says. Hodgson and his band are about to play a show in Canada, where an SD7 is the available console. Will it tempt Howard to move up to DiGiCo’s flagship desk? "I’m really looking forward to working on the SD7," he smiles. "But the SD8 is the perfect size for us. It’s been a really good choice."